As a local, we all have those moments wherein we want to offload TONS of fun and interesting facts about our country to foreigners who might have misconceptions — or who might simply have no idea at all about certain facets of our history and society. That’s why starting today, I am launching a series on this blog in which I will regularly feature 10 interesting facts for every country worldwide. The best part…? These articles will be written by the locals themselves; so needless to say, it will absolutely be authentic and legit. As a monthly post, I will continue to invite various locals from all over the globe to talk about their home country! Surely there will be times that certain countries will have multiple contributors, but every writer will only talk about 10 things each and I will even ensure that the 10 points in each article will not be the same. Now, I’m very excited about this because not only will it be an informational piece for you guys, but it will also be an informational piece for me! I just LOVE learning about other countries; so what better way than to ask the locals themselves, right? To start off this series, I will of course start with myself as I talk about the Philippines — my beloved home country! Officially known as the Republic of the Philippines, we are an archipelago in Southeast Asia located east of Vietnam and north of Malaysia. We have around 7,107 islands — of which only 2,000 are inhabited and these are categorized broadly under 3 divisions: Luzon, Visayas, and Mindanao (with Manila as the capital that is located in Luzon). Speaking of Mindanao, past incidents made by radical groups in these southern islands have given foreigners the false impression that it is not safe to travel to the Philippines; but such is NOT true! Those were isolated and special cases, and are definitely not the norm. In fact, one of the cities in Mindanao called as Davao has a very low crime rate and is even claimed to be one of the safest cities in Asia. But okay, there is still crime in the country but much like any Asian destination, it’s not so serious nor threatening as long as you stay street smart. 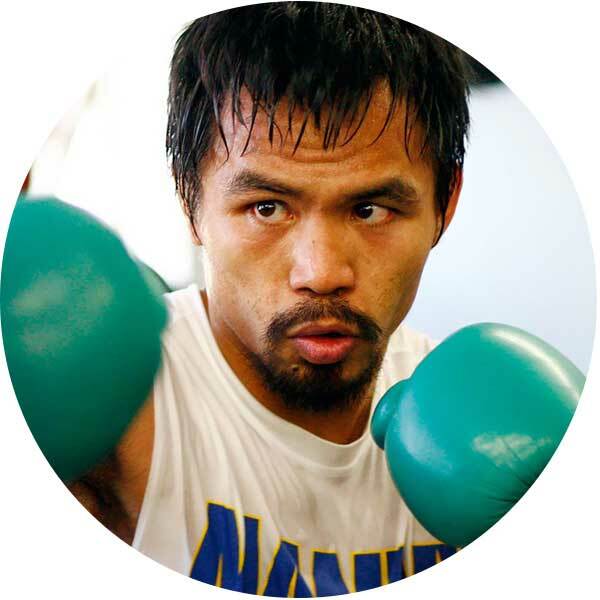 TRIVIA ABOUT SAFETY: We love Manny Pacquiao with a passion. We are fiercely proud and supportive of him that during his fights, most (if not ALL) of us will be at home or in public places watching the TV and cheering him on. Because of this, you will see two dominant ‘miracles‘ happening across the country: non-existent traffic and ridiculously low crime rate (dropping to below 1%). Trust me, it’s true. To illustrate: back in 2011 rebels and government soldiers had a ceasefire as they came together and watch Manny’s fight. As for weather and natural occurrences, the Philippines mainly has two seasons: dry and wet. Dry season starts in late November and ends in May, and the wet season primarily starts in June until October. If you’re in one of the big cities like Manila, be wary when it rains too hard since floods primarily happen due to poor irrigation and sewage infrastructure. Additionally, given how we’re close to the equator, the Philippines is also prone to earthquakes and typhoons — rest assured, they don’t happen that often to make you get all anxious about traveling here. With a population of about 100 million, we are the 7th-most populated country in Asia and the 12th most populated country in the world (with an additional 12 million of Filipinos who live and work overseas — these workers are commonly called ‘OFWs‘ or Overseas Filipino Workers). For the record, we’re called Filipinos — NOT ‘Philipinos’. (Females can be specifically called as Filipinas). We also call ourselves Pinoys which you should pronounce as P-noy (with a short ‘P’) and not ‘Pee-noy’. In connection with this word, we often like to say this phrase: “Proud to be Pinoy” or “Pinoy Pride” especially when we see any international celebrity or rising star who even has the slightest hint of Filipino blood in their body… Okay maybe not often: always. This is why there is this running joke on the internet that whenever someone popular worldwide has a quarter or a tiny hint of Filipino ancestry, people will start saying things like: “Brace yourselves, the proud Filipinos are coming.” Haha! But of course, it helps to note that some of us are also tired whenever our fellowmen keep claiming just about anyone who might be related to our ancestry. Teri Hatcher, an actress from the show Desperate Housewives, who made a comment about Filipino nurses on the show had enraged Filipinos, and our government even demanded an apology from her. (Yes, even if it was just a fictional show and that the screenwriters were the ones who have made her say that). Actress Claire Danes was declared as a persona-non grata in 1998 when she made ‘bad’ comments about Manila after shooting a movie there called as Breakdown Palace. I’m not sure if up till today she’s still declared as so. In 2012, Justin Bieber who is not a Pacquiao-belieber ridiculed Manny Pacquiao in 2012 after he lost a fight to Juan Manuel Marquez by posting a series of photos that mocked his knockout loss. Naturally, a huge number of Filipinos went mad about that and some lawmakers even filed for a request to demand an apology from the singer or else he’ll be declared as a persona-non grata too. Pacquiao on the other hand, just didn’t care and said that he’ll pray for Bieber. NOTE: Rest assured, not everyone in the country is this touchy, but yeah… generally, as you can see, the majority are. On the other end of the spectrum however, we are VERY friendly and happy people. No matter if most of us Filipinos are poor, we are recognized as one of the world’s happiest nations and it’s mainly because… we just are. We always try to look for the silver lining behind any dire situation. We make the best out of things! No matter what misfortunes we may have — lack of money, floods, crazy typhoones, etc. — our positivity shines through. I guess we know full well the phrase: “Sh*t just happens.” so we move on and continue to persevere. Sounds too good to be true? You’ll know what I mean when you get here. Moreover, we also LOVE foreigners and we love it even more if you visit our country and fall in love with it. We absolutely have colonial mentality and that’s because we were colonized by white people for a very long time (Spaniards for 377 years and Americans for 48 years) yet in the end, it’s the Americans that we have developed a really soft spot for. You will be treated like a KING. You’ll experience prime service and friendliness (but this is not to say that Filipinos are not warm and friendly to each other and to any other race, because we are — it just so happens that most people go to the extreme when dealing with white people). 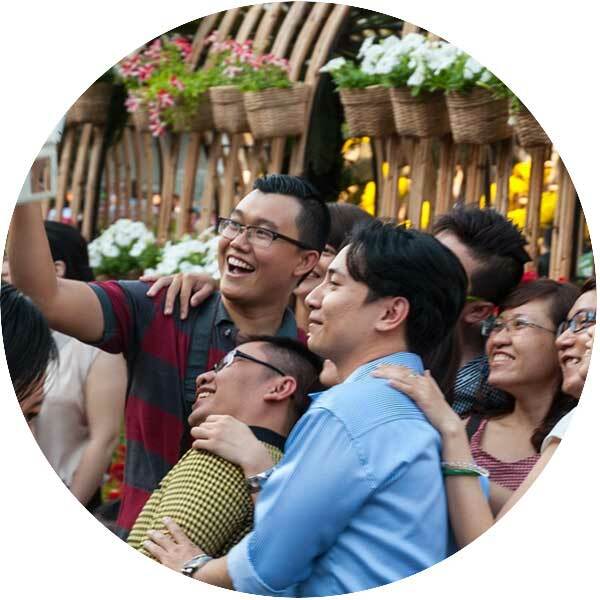 You can become an instant celebrity (mostly in the more rural areas) as people flock to you, ogle, take pictures, or try their English. Strangers calling you: “Joe” in a friendly way is a common thing even if you might not in fact be, American. We also use the term “Kano” for Americans which derives from the word ‘Amerikano’. One example of a drawback to this though is that since they know that you’re a foreigner, you’ll sometimes be charged way over the normal price or even be scammed; so it’s best to be informed about the typical prices beforehand. Nevertheless, despite all this special treatment, remember: DON’T let it get to your head. I’ve met and seen a lot of white people who become too arrogant after knowing this fact, but please don’t be one of those people because we do NOT worship just about every white individual — a large portion of the population just simply admire them. Besides, like I mentioned in the previous number, if you ‘wrong’ us we will not hesitate to go against you. NOTE: This favoritism can also be observed with Filipinos’ intense desire for whiter skin. You will even notice that most of our celebrities have mixed native Filipino and white ancestry, or have fair white skin. We are a secular state but Christianity is the dominant faith. As of 2011, about 80% of the population are Catholics (with Islam as the 2nd largest) and we are also the 3rd largest Catholic country in the world in terms of numbers. (This is why sometimes, foreigners that I’ve met are very surprised when they meet Filipinos like me who are atheists). Given these facts, it’s no news that our church (or our faith — since as you can see, most Filipinos are Catholics) has an EXTREME influence not only in the political scene but even in the social and personal lives of everyone. EXAMPLES: Most of the citizens are still very conservative, divorce is still not allowed, abortion is still viewed as immoral, and even the Reproductive Health Law that guarantees free access to contraceptives for all citizens was fiercely opposed by the church for over 14 YEARS until it was finally passed as a bill in 2012 and approved in 2014. Naturally, up until today, the church still opposes it. I guess the only irony about this is that even if we are fiercely religious, the majority have no problems with gays or transexuals in the country — which we have a LOT of. Certainly, being ‘pro-gay’ hints that we are also progressive and I find this as a good thing, but of course there are still people who look down on it or could not tolerate it. There are approximately 180 languages and dialects in the Philippines but there are two official languages: English and Filipino (standardized version of Tagalog). This means that the country is very tourist-friendly — well, provided that you, as a tourist, knows how to speak English. But of course, there are some parts of the Philippines that can’t speak fluent English (or even Filipino/Tagalog) but almost everyone can understand and utter simple English no matter if they have little to no education. Besides, as connected to the colonial mentality that we have, we are proud of how we can speak English (some people even go as far as forcing, if not learning, a U.S. accent). TRIVIA: We have a really competent English-speaking workforce that’s why we have a LOT of call centers in the country. Koreans normally flock to our country to learn English as well! Moreover, because of how almost everyone in the country speaks English, most expats don’t bother learning Filipino/Tagalog. We have nice expressways but relatively, our overall transportation infrastructure is underdeveloped. We also have the worst traffic. (We, of course, blame the government for that). Anyhow, one of the most popular modes of public transportation in the Philippines are the jeepneys which we also often use as a symbol for the country. These were originally made or inspired out from US military jeeps that were left behind after World War II. Today, they are decorated flamboyantly in various colors! Though they act like buses, they are not air-conditioned and they can stop just about ANYWHERE for as long as you say “Para!” (“Stop!”). The next most common public transport vehicle are tricycles which are motorcycles that have an attached side car for passengers — these are basically like taxis that can take you to anywhere you want. There are also the pedicabs which are similar to rickshaws given how they operate by cycling. FYI: For a jeepney ride, Php 8.00 (pesos or $0.18) is the minimum fare; more is added after 4 kms. As for tricycles, it’s usually at Php 12.00 — less if you share with other persons whereas pedicabs are more costly. For taxis, the flag-down base rate should be Php 40.00 ($0.85) so it’s really cheap especially if you come from a developed country. Another thing that you should know about the Philippines is that, family is VERY important and almost every family is close. But this ‘closeness’ is not just limited between the parents and the children because it also includes the relatives! You will often see extended families in Filipino homes and every celebration can be really festive since almost all the members under the family tree can be present! (Christmas, New Year, birthdays, etc. with the ever present karaoke spree.) You’ll best see this if you can manage to stay in with a Filipino family; so maybe try couchsurfing or a homestay? Then again, once you befriend a Filipino, you’ll most likely be invited to one of their happenings. It’s normal for sons and daughters to stay at home with their parents even after they are 18, and most of the time, parents have a strong ‘say’ about their children’s future. It’s not surprising to see people following a university course or doing a job that’s dictated by their parents. Once the children are married, they are free to choose to stay in with their parents or separate. Anyhow, there is this saying that, “When you marry a Filipino, you marry the whole family.” and that’s so true! We respect our parents a lot so even the idea of sending them to a nursing home is unthinkable. Most of the time it’s the eldest of the family or the child who is the most ‘well-off’ who takes the parents in until they pass. More about respect, we usually attach an appropriate title for those who are older than us, like “Ate” or “Tita” for girls or “Kuya” and “Tito” for guys (example: “Ate Aileen” or “Kuya Jonas”). We also add the word “po” at the end of our sentences when we are talking to elders. 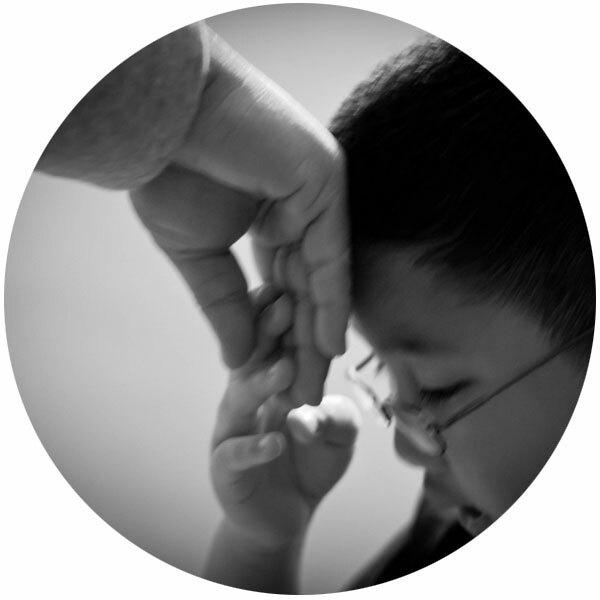 Plus, every time we meet our elders we do a “mano” gesture which is a sign of respect and an acceptance of their ‘blessing’ (we put the hand of the elder to our forehead — see photo on the side to see how it’s done). This claim fully supports the incidences previously mentioned in point #2 because we can easily make our voices heard all over the world if we ever feel the need to say something about some people or some issues. What does this mean for you? Nothing much really, but it’s a nice fact to know. I guess the things you’ll just have to prepare for are frequent instances of picture-taking and Filipinos adding you up in their Facebook accounts — “accounts” because some people have a Facebook account for home, another one for work, another for friends, etc. To even better display our power in social media, just look up on the “AlDub” social media phenomenon that’s still currently going on in the country. Over the past months, the hashtag #ALDUB had a record-breaking performance on Twitter as it trended with over 25.6 million tweets in just one day! Today, it continues to trend over at Twitter that programs like BBC and Bloomberg have taken notice. 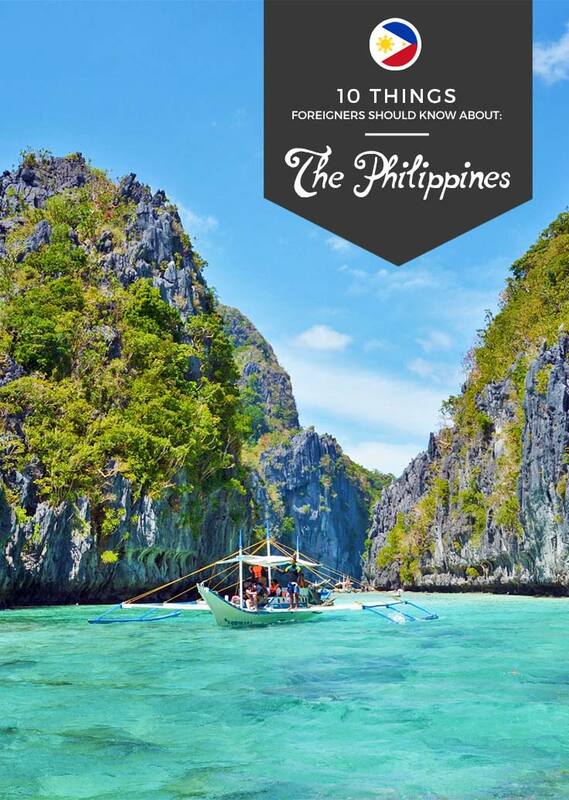 Remember: there’s more to the Philippines than the widely-known Boracay and the urban Manila. And don’t worry about traveling inter-island because almost all of the islands are well connected (the only problem you’ll probably encounter is that it may take time to get from point A to point B since boat or bus rides can take a while). As for costs, we have budget airlines that regularly hold promos thereby giving you rock-bottom prices that can be as low as $10 for a one-way flight. Cost of living can cost around $700 per month in the big cities and can go lower if you go to the more rural areas. (Our currency is the Philippine Peso [Php] and your $1 can already amount to around Php 45.00 which can already buy you a meal). Since it’s the holiday season at the time of this post, why not expose you to a Christmas-related fun fact about the Philippines? You see, apart from the ‘Holy Week’, Christmas is another event that we LOVE to do and we usually start celebrating it as early as September and ends sometime in January. Yes, you read it right: September! People will start saying stuff like “-Ber months are here!” claiming that the weather is slowly getting ‘chillier’ (when it fact it’s not) and then public + private establishments will start setting up Christmas decorations. You will also start to hear Christmas songs being played in the malls or on the radio! Yes, it is that festive. Simbang Gabi (Night Mass) where Catholics attend masses from December 16 to 24 and these occur at various times (as early as 03:00 AM!!). This is a way of honoring the Virgin Mary and also a way of anticipating the coming Christmas Day. On the last day of the Night Masses (Misa de Gallo), Filipino families will get together to celebrate Noche Buena as they eat a BIG feast — ‘lechon‘ or roasted suckling pig is almost always the center of this occasion. The whole Christmas celebration ends on the 1st Sunday of January as we celebrate the Feast of the Three Kings. There’s a lot MORE interesting facts about the Philippines that I can further discuss — but! I’ll leave it to the future Filipino guest posters to discuss those other things. For now, let’s just end it with these 10 things. Are you excited for this series? If you’re a Filipino, do you agree with the points that I made above? What else can you add? If you’re a foreigner, what items above do you find interesting or intriguing? Personally, I prefer to travel the Philippines first, because as you mentioned, it's inexpensive. Okay, maybe expensive for other people, but when you compare Philippines to other countries, it's cheaper to travel domestically that internationally. Besides, I want to discover more of the Philippines first so that I would have something to share whenever I talk to foreigners. Para di ba, ma-share ko din experience ko and makapagrecommend ako kung saan maganda pumunta sa Pilipinas. I might feel ashamed if ever I go abroad and people would ask me where I'm from, then I have no places or things to recommend about my own country. Amazing! Love it, my next trip is Philippines. Overall though, "It's More Fun In The Philippines!" Good luck, catch you again! Hey Ian, I'm thankful for your kind words. I really appreciate it! Great to hear by the way that you have been able to live in Bohol for quite a while. Anyhow, much of what you say is absolutely true! And of course, there are no problems either if anyone is an atheist in the country -- though most are fiercely religious, we have no problems if others have different views. Sorry by the way that you keep being referred to a American :P Haha! Love the idea and love the honesty in this post! We weren't in the Philippines for too long, but we could tell right off the bat that they were very happy people and very proud! We were in Palawan and all we heard everywhere was how it is the best island in the world (which I can't argue with) but it was the first thing everyone at our hotel, restaurants and tours said to us. And hey they should be proud, it is gorgeous! Glad you like it Samantha and I'm also glad that you agree with these points given the time that you've been to the Philippines! :) Haha, and thanks. Sounds like you did have a great time there! Haha I think we're on a mission of garnering any award that's related to social media or connectivity haha! Anyhow, I'm glad to hear that you have great experiences with us — truth be told, after years of traveling, the warmth and friendliness we exude in the Philippines is unparalleled! I like point 1, 2, 3, 6, and 9. I am a travel addicts , have travelled to the Philippines. I know some parts of the Philippines provinces tourist sports. Those points I have chosen are excellent, I have enjoyed my vacations in the Philippines over the last 5 years. It's fun in the Philippines. Absolutely love this series and so excited to read about all the other countries! Ah, the pride thing. Honestly, I'm a little bit embarrassed about that because if seen at a different angle, it comes off as a weakness. Well, it's definitely not a strength. I think a few years ago, Philippines was named as the most prideful country. I'll add another thing foreigners definitely need to know: Filipino sense of humor is very, VERY different. It appears as bullying, but really, it's just the way Filipinos joke. I definitely am not a fan of it. Lol. Can you imagine? Coming here from the States and I turn on the tv and everyone is making fun of someone's tan complexion? Whoa there, I'M tan! Lol, I was not amused. Sorry if this sounded more like a rant but this post is seriously on point! I agree with you; but indeed, it's a fact and I guess it helps to let the foreigners know about that ;) I'd like it to be changed of course but it's so ingrained in most of us Filipinos. And ah yes! The Filipino humor! Honestly, I don't like it either but it works for most. And no worries, it didn't sound like a rant at all ;) This is a healthy discussion haha! I find myself quite amused reading this as it reflects everything about the Philippines, including the not-so-good parts. I totally love the honesty. The Filipinos are indeed happy people but quite sensitive hahaha... I am excited to read more posts that will fall under this series. I'm glad you like it Marjorie! Well for one thing, I didn't want to sugarcoat it so I wanted to be as honest as possible. Thanks again and I'm glad you are excited for this series too! Love the photos on this page. Did you take them yourself?